The Center educates future civic leaders, corporate and non-profit managers, and entrepreneurs on all matters related to business and finance. Though committed to teaching the foundations of individual budgeting, planning and investing, the Center ventures far beyond the world of personal finance. Students will explore institutional financial management, corporate marketing and accounting, micro and macro economics, professional standards and ethics. The Center is committed to training future leaders to be wise and responsible with money, whether public or private, and to be keenly aware of the positive consequences of sound financial management and ethical, informed decision making. 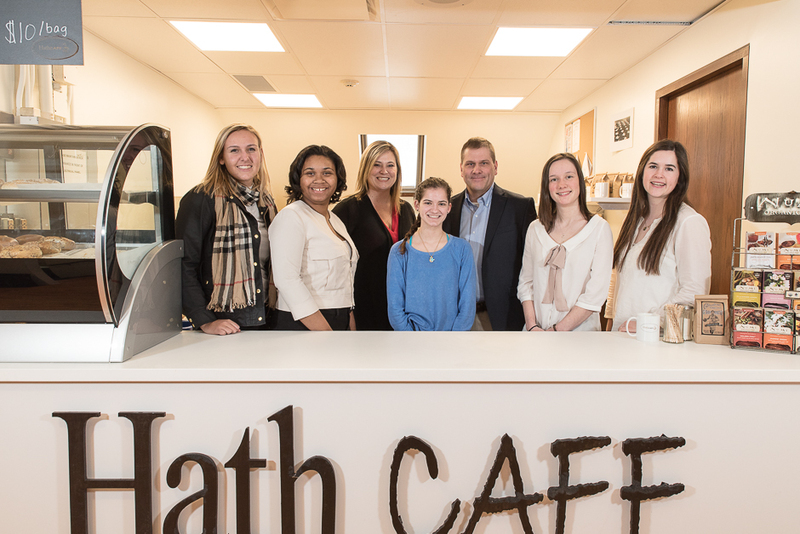 The Veale Foundation is one of the local foundations that gives Hathaway Brown students support and opportunities in the area of business and entrepreneurship. For more information on all the Veale Foundation offers, please visit vealeentrepreneurs.org. Business and Finance I is a quarter credit elective that meets one day per six day cycle. The course is graded on a pass / fail basis. The first topic covered is personal finance. Then the course moves into the core curriculum, which covers: the concept of risk, earning profits, basic economics, ethics, management, leadership, personnel, and human resources. Students will also participate in Junior Achievement's Titan business simulation. In addition, students are introduced to the corporate world through a program with Ernst and Young. Finally, students are encouraged to participate in a business plan competition. Business and Finance II is a quarter credit elective that meets one day per six day cycle. The course is graded on a pass / fail basis. The first topic covered is entrepreneurship. The course then moves into the remaining core curriculum, which covers: marketing, accounting basics, and financial institutions. Students continue a program with Ernst and Young. In addition, students broaden their relationship with the corporate world through a program with Key Bank. Students are encouraged to participate in a business plan competition if they have not already done so. If they have participated in the business plan competition, students may revise their plan and take part in the competition again, or they may create a new concept and develop a plan around that. The Center also brings speakers to campus and arranges off campus experiences when appropriate. In addition, the Center coordinates senior seminars on financial literacy. Students who successfully complete Business and Finance I and II are eligible to pursue a scholarship designation. In addition to finishing these two courses, students must take a capstone history course at the honors level and write and defend a thesis that has a business, finance or economics foundation. In addition, students must complete one of two required applied projects. The business plan competition is one option. A specific project developed in conjunction with another Center in the Institute for 21st Century Education or with the Strnad Program is another option. Read more about the Center for Business & Finance in the Summer/Fall 2013 issue of HB magazine below.